We had a General Election in the UK this week. 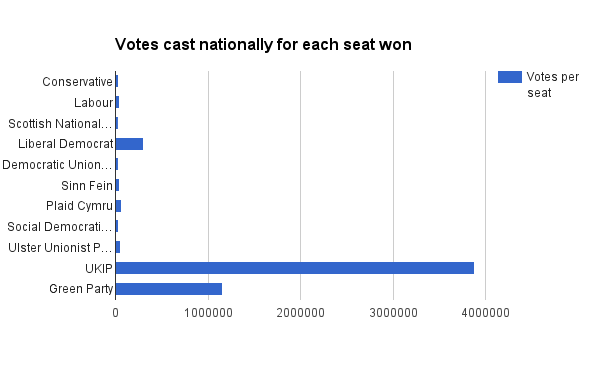 We use a first-past-the-post system in our General Elections, which isn’t particularly representative. Update Places to do something about it: Electoral Reform Society; Avazz.